If you can fix, or decrease, pain, it’s quite likely that sleep will improve. My neck pain has been keeping me up at night, preventing me from relaxing. Assuming that my sleep improves as the pain goes away, it would make sense that any of a number of standard bodily repair functions also improve. Sleep really does knit up the ravelled sleeve of care; it’s when your body regenerates. It affects hormones, allergies, wound healing, inflammation, digestive function, detoxification, and general immune function. I don’t know that this is how it works. In fact, I have no evidence whatsoever, it’s just what makes sense in my head. I’ve also been sifting through google scholar (surprise, surprise) and found this abstract about acupuncture helping with primary dysmenorrhea. I do not have that (thankfully) but I do have menorrhagia. Which is related. So it makes me curious. And then these for anovulation and infertility (which can be connected with PCOS). And this, talking about the effect on the limbic system. 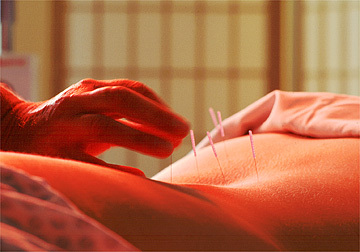 There are just as many, more even, articles and abstracts claiming accupuncture is completely ineffective. This entry was posted on October 18, 2010, 4:32 pm and is filed under Medical, Sleep. You can follow any responses to this entry through RSS 2.0. You can leave a response, or trackback from your own site.